Festive Collection 2013, INTime introduces a vast range of timepiece collections for your special moments with your closest relatives. This latest set is an amalgamation of tradition and modernity and elevated luxurious aesthetics for men and women. Read more about the festive collection 2012 below. Jakarta, 23 July 2013 – Celebrating the festive season, INTime introduces a vast range of timepiece collections for your special moments with your closest relatives. This latest set is an amalgamation of tradition and modernity and elevated luxurious aesthetics for men and women. To commemorate the auspicious occasions of Idul Fitri, the collection is timed perfectly to suit the holiday ambience. Multiple selections of brands and products of elegant and refined timepieces are available at INTime boutiques near you. The collections could be perfect choices for an appreciation to your closest ones or to simply make a bold statement in your look at the special occasion. This season, INTime go back to the future while sailing through the classic era. 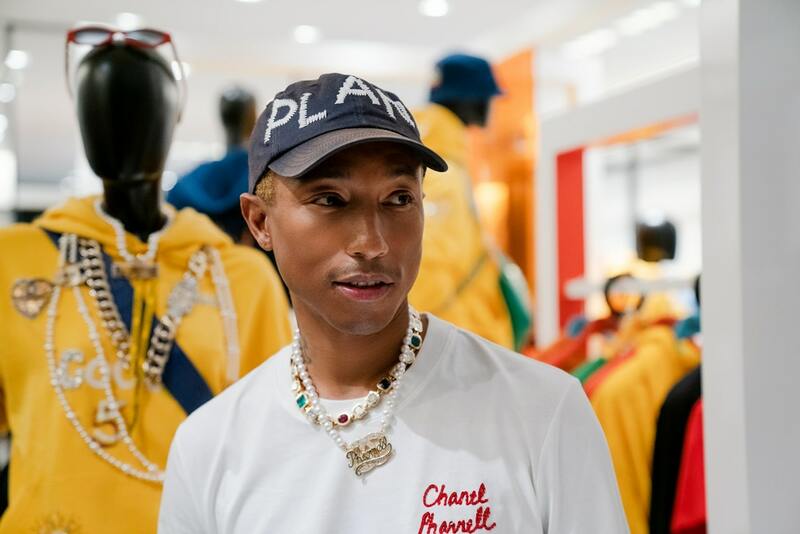 Its collection comprises of feminine chic wristwatches by Gucci, TAG Heuer, and Hamilton, as well as everlasting timepiece from Baume & Mercier. 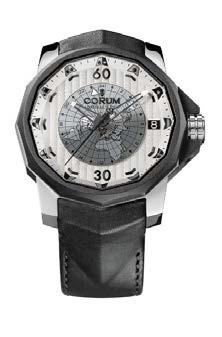 Dedicated for adventurers, Corum‟s world traveller and Ball‟s high technology range for divers are the perfect company for explorers. A chic wristwatch line with a strong feminine allure, the Guccissima collection is available in two sizes (27 and 36 mm) and in an understated colour palette. 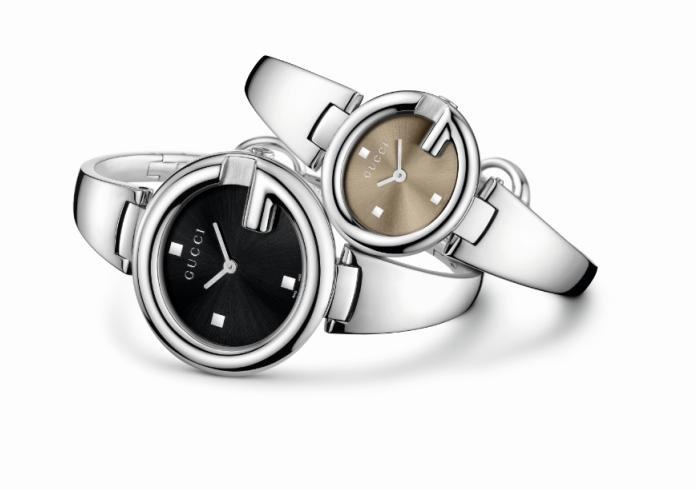 The dial of the smaller model is presented in four finishes: the sun-brushed versions in black, brown or silver, and the mother of pearl version, which is embellished with three diamond indexes. The dial of the large variant is available in either black or brown, both sunbrushed. Both large and small models are characterised by an elliptical case, framed by the iconic Gucci „G‟ logo – one of the most recognisable symbols of the House. The Gucci logo is displayed at 12 o’clock, with „Swiss Made‟ at 6 o’clock. These timepieces are particularly feminine thanks to their delicate bangle bracelet in stainless steel, and softly rounded forms. With its elegant shapes and shades, the Guccissima collection can be worn for every occasion. The newest luxury incarnation of the Lady Aquaracer, with its shimmering surfaces and rounded curves, celebrates the timeless resonances and reflections between women and water. Exquisitely proportioned, it is fashioned from our most precious materials– coral pink gold, glittering diamonds and sensual mother of pearl. Water and woman inspired, it is an aquatic-inspired work of art. The first-ever steel & pink gold version in the Aquaracer line is also the most feminine, with rounder curves and extra sizzle. Standout elements of the refined design include the dazzling new “H-link” bracelet: broad central row in precious rose gold, surrounded by narrower links with curved sides in polished stainless steel. The fixed bezel, too, is in 18K 5N rose gold, now with three facets and the Aquaracer line‟s signature six diving studs. The horizontal lines on the bi-textured dial call to mind ocean waves and the aquatic motif are further embellished through the dial’s exquisite mother of pearl. These two more generous editions in18k 5N rose gold, when paired with the masculine their matching Aquaracer Man counterparts, make for a perfect couple–a timeless expression of luxury love. The Swiss made Hamilton Jazzmaster Lady Auto is highly sophisticated inside and out, equipping the wearer to juggle her time efficiently and elegantly. Its heart and soul, a finely crafted automatic movement, is visible through the case back, confidently confirming that technology and femininity go harmoniously hand in hand in the twenty-first century. The watch‟s form adds a further chapter to the story of design fascination. A round face flows into an oval-shaped case form, while teardrop-shaped lugs and indices tease the eye. The modern materials and lines work together to create a timepiece that clearly demonstrates a deep-set Hamilton believe that feminine charm has substance. 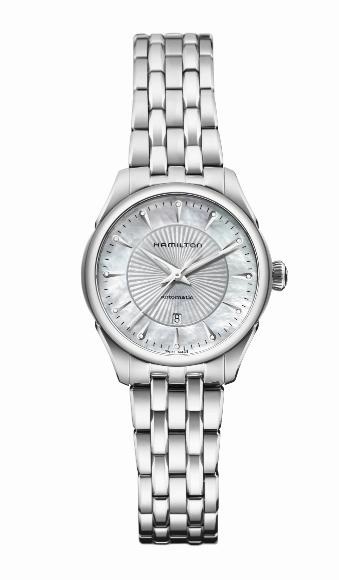 The Hamilton Jazzmaster Lady Auto comes in a variety of interpretations, each one with its own distinctive identity. 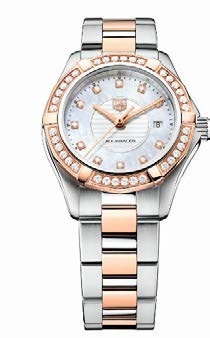 Vying for the title of leading lady is a model with a mother of pearl dial, punctuated with 12 diamonds feeding the elongated teardrops that mark the hours. This is finished off with a classical, five-row stainless steel bracelet. Another one satisfies the strong bi-colour fashion trend, and a rose PVD version brings dreamy, feminine softness. A versatile and highly practical attachment concept is the binding signature of the Hamilton brand‟s proven empathy with varying female moods and tastes. An easy click spring bar facilitates the exchange of the jewellery-style metal bracelets for a white leather strap to redefine feminine curves – of the wrist at least. 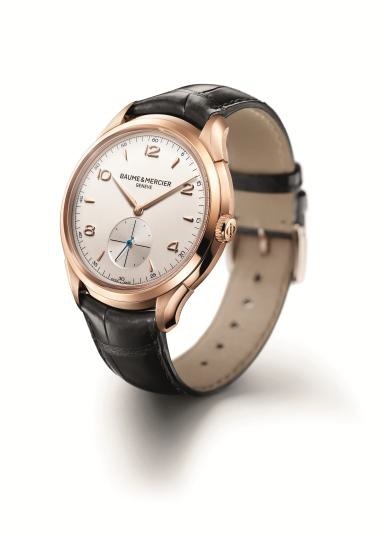 Baume & Mercier Clifton is a new piece in 18K red gold, powered by a manually wound calibre by the manufacturer. It is a marvellous example of balance and classic design, with its dimensions adapted to meet the requirements of modern trends. This timepiece is the choice of those who appreciate elegance and will accompany its owners through all of life‟s important moments. Featuring a dial centre bearing a world map, the new Admiral‟s Cup Challenger 48 Day & Night provides an extremely readable dual time-zone display and day/night indication. This sporty and elegant model water-resistant to 300 meters is available in two limited-edition versions respectively expressing day and night. A map of the world viewed from the North Pole enables instant visualisation of the time zones as well as of which zones are in daytime or nighttime around the world at any given moment. This world map complete with day/night indication is a first within the Admiral‟s Cup collection. The new Admiral‟s Cup Challenger 48 Day & Night provides peerless legibility. The Dauphine-type open-worked hour and minute hands are enhanced at the tips with a luminescent substance, while the second’s hand features the famous CORUM key epitomizing the brand identity, and the date window at 3 o’clock rounds off the basic functions. This new Admiral‟s Cup Challenger 48 Day & Night is available in two versions: the first, symbolising nighttime, is issued in a 200-piece limited edition and features a black dial and continents; while the second evoking daytime is produced in a 150-piece limited series and carries a light grey map and dial. BALL Watch has now unveiled a new major technological innovation in the design of diving watches with the new Engineer Hydrocarbon NEDU. The “Navy Experimental Diving Unit (NEDU)” is the unit of the United States Navy responsible for rolling out operational diving and decompression rules for the United States Armed Forces. Applying the same principle of “Safety First” adopted from its very beginnings by BALL Watch for its timekeepers, the NEDU’s experiment has enabled new procedures and new equipment to be developed to increase diving safety. 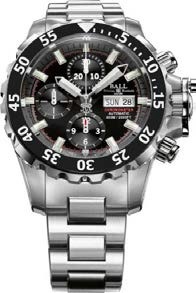 This new model immediately strikes as being a powerful and characterful chronograph, both sporty and stylish. All aspects of this timepiece have been designed for its use by the professional diver for whom each second may be of crucial importance. Attention has in particular been paid to the rotating bezel and its ergonomic contours ensuring precise handling even when wearing diving gloves. The bezel’s unidirectional rotation avoids the dire consequences that could result from any accidental movement when counting down underwater time. Designed in chromed pure black ceramic, the bezel is exceptionally resistant to corrosion, scratches and ultraviolet rays. Additionally, the numerals and graduation have voluntarily been oversized to make them immediately legible. A pioneer in ceramic processing, BALL Watch again uses its innovative application process for powerful luminous paint on the ceramic bezel indications.